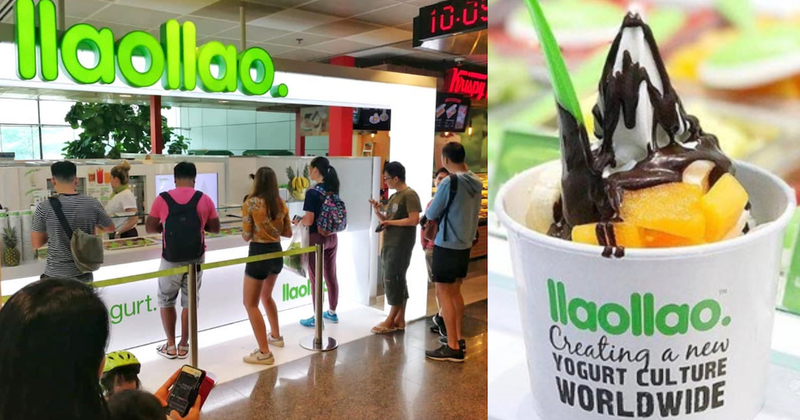 Spanish frozen yoghurt chain llaollao has made a comeback last Saturday (June 16) with a new outlet at Changi Airport Terminal 2. According to llaollao, this new outlet will be operated by local company Manna, which has an “extensive experience in the food and beverage sector”. Pedro Espinosa, founder of llaollao, said that the brand’s return to Singapore was driven by the strong demand from consumers, who were shocked by news of its exit. “This partnership is the result of several months of work looking for the best partner to relaunch our product in the country,” he added. This announcement comes after it announced a sudden closure of all 29 outlets across Singapore last December. In its six-month absence, llaollao was replaced by another frozen yoghurt brand, Yole. However, llaollao maintained that it had nothing to do with the brand although Yole had physically taken over its existing outlets islandwide. According to llaollao, it will be opening a second outlet at Tampines 1 in end June, with more outlets to be launched in the upcoming months. Just 6 days ago, Singapore was hit with the news that Spanish frozen yogurt (froyo) chain llaollao will be closing down all its operations here to make way for an European froyo brand, Yolé. The master franchisee of llaollao in Singapore, D+1 Holdings, confirmed the news, and told Channel NewsAsia that they have “terminated the master franchise of Singapore with llaollao Spain”. It also revealed that they have “acquired the rights to European frozen yogurt chain Yolé and will be converting all 29 llaollao outlets islandwide to the new brand by Dec 9”. While the exact reason why this change came about wasn’t revealed when the news first broke, it was a few days later, on 11 Dec, that a D+1 Holdings spokesperson told Marketing Interactive that the change happened because it felt that llaollao’s menu was “exhausted after three years of being in the business”. Objectively, we believe Yolé is a better product and has a wider menu. We also firmly believe that Yolé will suit the Singapore market with exciting flavour innovations and well-known toppings from Spain and Italy. Just as Singapore froyo lovers were slowly getting used to the new brand, and food reviews were being published, llaollao Singapore posted a statement last night that just threw D+1 Holdings’ very PR response under the bus. Revealing that D+1 Holdings “has unilaterally decided to close all the establishments in the country and reopen them under the Yolé Frozen Yogurt brand”. The closing of the 29 establishments in Singapore is very disappointing for us after so many years of work. The statement also emphasises that the llaollao parent company has “absolutely nothing to do with Yolé Frozen Yogurt” and while “some of the new Yolé outlets might still have available stock of some llaollao product […] the Yolé establishments do not have and will not be able to have the frozen yogurt and the rest of llaollao products”. A quick check on Yolé’s website shows that other than the Singapore outlets, their only other outlets are in Taiwan. The post ends with a promise that llaollao will be coming back to Singapore, and a “guarantee that the brand continues to be a leader in the frozen yogurt market, as we achieved thanks to [Singapore consumers]”. Is This Gong Cha 2.0? 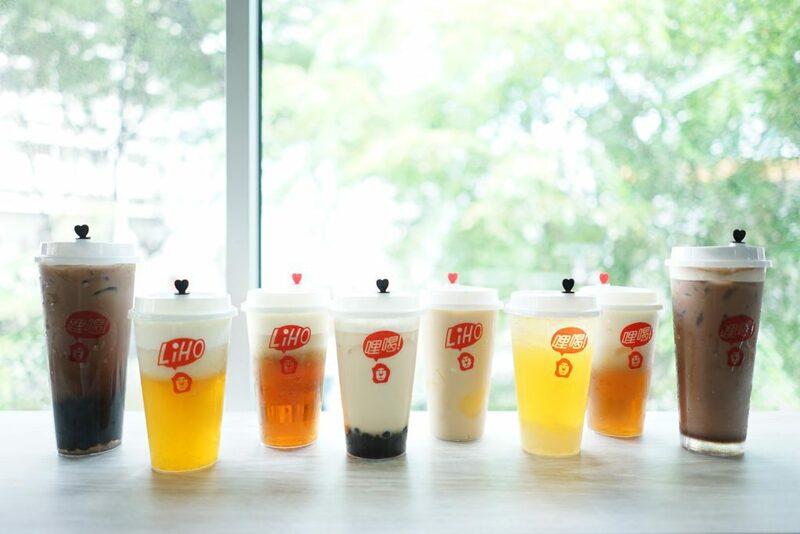 Many are quick to notice that this franchisee-franchiser situation is very much like the Gong Cha vs. LiHO bubble tea battle that happened in May. As a quick recap, Rodney Tang, General Manager of RTG Holdings and the man who brought the Gong Cha franchise to Singapore, terminated his franchise agreement after finding out that Gong Cha’s Taiwanese parent company had been sold to Gong Cha Korea. So my friends were no longer in charge of the company and did not even inform me formally. I felt betrayed. This then prompted Tang to look through the new terms of franchising, which he found were “more restrictive, with clauses that would have affected his ability to manage RTG’s other brands effectively”. Of course, Gong Cha wasn’t set to lose the annual S$30million revenue it got in Singapore, and returned a few days after to announce that the brand would be coming back to Singapore. We are not here to compete with LiHO. It is not LiHO versus Gong Cha. Fast forward to now, and Gong Cha has made a very impactful comeback, with reports of ardent fans queueing at its first outlet the night before its official opening day. LiHO also announced in October that it has opened its first 2 overseas outlets in Hong Kong. While one can definitely see the similarities between the bubble tea and froyo battles, the general tone of the statements from the various franchisees-franchisers are very different. Just looking at the franchisee statements, it’s clear that while one was more forthcoming about the not-so pleasant details, the other was trying to cover it up with a very PR-friendly response. The parent companies’ responses to them were similarly telling. Currently, we can’t say for sure what’s going on behind the statements, but some have speculated that it might be a matter of a franchisee riding off the success built on another brand. Which makes sense, given that D+1 Holdings simply needs to bring in their new products to the already existing outlets – many of which are at prime locations. Either way, we’re definitely looking forward to seeing how this battle is going to play out.